Mr. and Mrs. Avery are celebrating their 50th wedding anniversary this week. 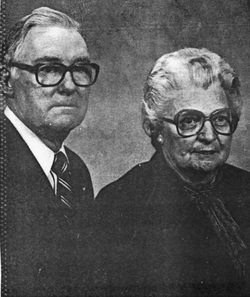 They were married Sept. 7, 1944 in South Mills, N. C. Bomar is retired from the U. S. Government. Mrs. Bomar is retired fro J. C. Penney Co. They have three sons, Forrest of Garland, George of Austin and Byron Lee of McKinney, and four grandchildren.